On 26 February 2016, I am giving an invited talk at the Centre of Korean Studies, SOAS. It will be interesting to present my on-going work in front of an audience that has primary interests in Korean affairs. More details about the talk can be found below. The Centre also hosts a number of interesting Korea-related seminars each year, so it’s worth bookmarking the page and check it out. In this paper, I examine the case of urban protesters against forced eviction in Seoul from the 1960s, and discuss the evolving nature of rights claims that were put forward by protesters against urban redevelopment projects in times of condensed and highly speculative urbanisation in South Korea. I make use of the collection of protesters’ pamphlets compiled by an influential civic research organisation in Seoul, and of on- and off-line archives, photographic images of protests against eviction, and my own interviews with former and current housing activists and evictees in Seoul. By adopting a strategic-relational perspective that pays a particular attention to the struggles among socio-political actors, I aim to understand particular notions of urban rights adopted by protesters against eviction due to urban redevelopment projects, and scrutinise how their rights claims have evolved over time. Such an understanding is expected to shed light on enhancing our understanding on the question of displacement, urban rights, and urban social movements to bring about alternatives to speculative urbanisation in South Korea as well as other economies that share similar trajectories of urbanisation and accumulation. Following up on my earlier post that announced the call for papers for organising sessions at the forthcoming annual conference of the Association of American Geographers in Chicago in April 2015 (for the original CFP, please click here), it is with great pleasure to see the wonderful line-up of speakers, both paper presenters and panel session members, in the three sessions that will take place next week. Many thanks to all the contributors for making these sessions ever more exciting and inspiring. The Tragedy of The Commons As a Cost of Rapid Urbanization in South Korea’s Late Industrialization Context. The Fragmented Grassroots Resistance and the “Civilised” Capital Accumulation in “the City of Benevolence�? The proceeding includes a number of writings by key critics including David Harvey, Andy Merrifield, Tom Slater and Stavros Stavrides. For those of you interested in urban crisis in Greece, there are many interesting chapters in the book, written by those who study in/on Greece. Update: A slightly revised version of this paper is now published from the CITY journal, and can be fully downloaded freely from the link below. Please use this journal version for any citation. Shin, H.B. 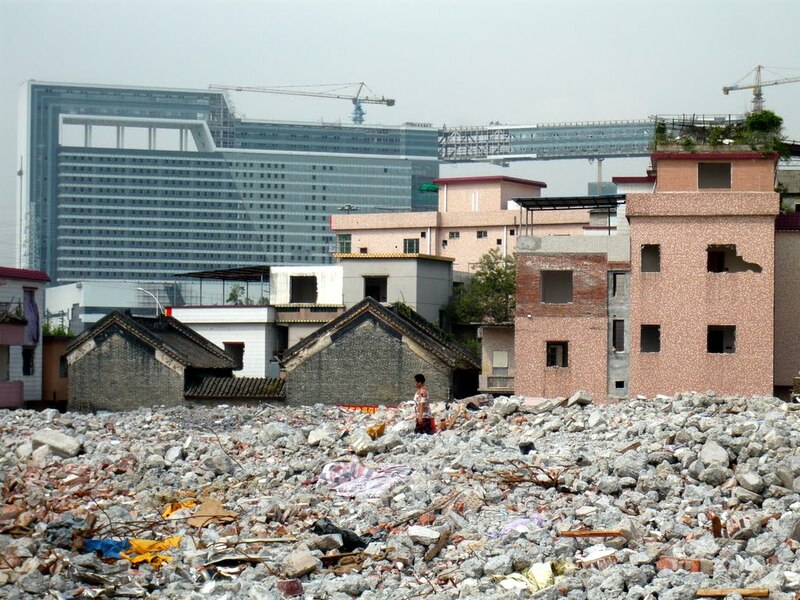 (2013) The Right to the City and Critical Reflections on China’s Property Rights Activism‘. This is the fifth monthly contribution to the Korean daily newspaper, The KyungHyang Shinmun. I have chosen by Qin Shao, Professor of History at The College of New Jersey. There is an excerpt of the book in English, which can be viewed on the Asia Society web site on this link. 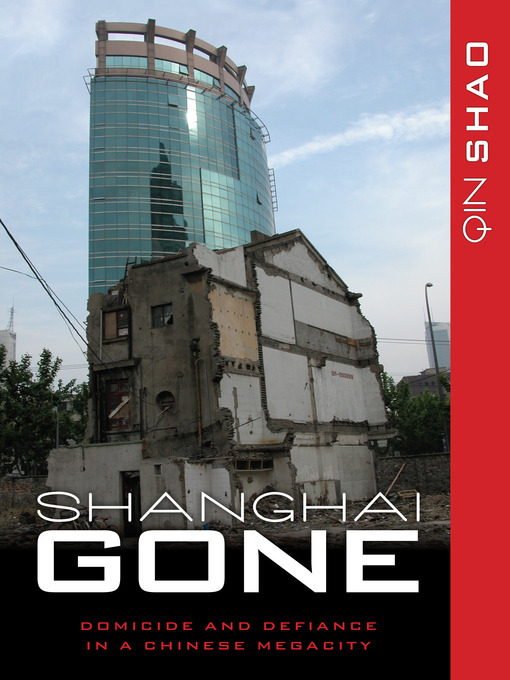 The book discusses the life and struggle of Shanghai’s displacees whose life courses have abruptly changed by the city-wide redevelopment projects. Facing the almighty power of the state, developers, media and so on, displacees are transformed from ordinary residents to an occupational petitioners, a barrack-room lawyer or a community leader. The rights discourse spelled out by these people also provides a fascinating insight for our understanding on how the interaction between reform measures (economic, political and legal) and people’s response to these have reshaped their rights awareness and views on social justice. The contents of this book resonate with my own research on residents’ displacement and redevelopment in Seoul (Nangok neighbourhood, 난곡) in South Korea (see my papers from Geoforum and Environment and Urbanization) as well as in Beijing and Guangzhou in China (in particular, my papers from Antipode and Urban Studies). �?하�?� 정부 통계를 근거로 유추해보면 2003년부터 2010년까지 48만 가구, 대략 150만명 가까운 시민�?� 철거�?�주 대�?�?�었�?� 것으로 파악�?�다. 2003년 기준 �?하�?� �? 가구수가 486만�?�었으니, 8년 �?�안 열 집 중 한 집꼴로 �?종 개발사업으로 �?�해 철거�?�주�?� 셈�?�다. �?�러한 통계�?는 �?민공�?��?�고�?� 불리우는 �?�주노�?��?가 제외�?�니 실제 철거�?�주�?� �?�시민 규모는 훨씬 �?� �?� 것�?�다. 중국�?� 20세기초 �?�시화 과정�?� 연구하�?� �?�양사학�? 친 샤오가 2013년 발표한 저작 <�?하�?�, 사�?�지다>는 최근 10년�? �?�어난 �?하�?��?� �?�시개발로 �?�해 집과 �?��?�?� 파괴�?� 보통 사람들�?� 고난과 투�? 역사를 담고 있다. Open Democracy based in the United Kingdom is running a new series on Cities in Conflict, which according to the series editors “seeks to examine cities as conceptualised, planned or contested sites of conflict, security or resistance.” The series includes a number of themes that range from ‘the insurgent city’, ‘cities of exception’ and ‘the city yet to come’ to ‘the disputed city’, ‘splintering cities’ and ‘cities of shock’. It bring together a number of critics who will undoubtedly provide an interesting set of critical perspectives on understanding contemporary cities in this ‘urban age’. I have also been invited to contribute a piece, and my essay is online. Other essays on China include those from Jonathan Bach and Mary Ann O’Donnell on Shenzhen. I’ve been invited to contribute book reviews to a Korean daily newspaper called KyungHyang Daily. It’s going to be one book per month, and I presume it’s going to be also available on its online site. 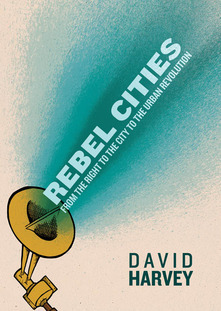 The first one I have chosen is David Harvey’s Rebel Cities (2012). The next one to come is Stephen Graham’s Cities under Siege (2011). The following is the original contribution in Korean that I sent to the newspaper. 3월부터 경향신문�? 서�?��?� 기고하게 �?�었다. 한달�? 한번 기고하게 �?�었는�?�, 첫번째 책으로 선정한 것�?� �?��?�비드 하비�?� <저항�?� �?�시> (Rebel Cities). 다�?��?는 Stephen Graham’s Cities under Siege (2011) – 아�? 한글 번역 제목�?� 안정했다. 아래 글�?� 경향신문�? 기고한 �?고. 3월 2�?��?로 실릴 예정�?�다. �?��?�비드 하비(현 뉴욕시립대 �?수)는 지리학�?로 출발해 분과학문�?� 뛰어넘는 통찰력�?� 기반으로 오랫�?�안 비�?�? 관�?�?서 공간�?� 정치경제학�?� 정립하는 �?� 힘�?� �?�아왔다. 최근 들어 만난 그는 부�? 사회변�?�?� 필요성과 방법론�? 대해 고민하고 있었다. 그�?� 2012년 신작 <저항�?� �?�시>는 �?�러한 고민�?� 성과�?�다. �?� 책�?서 하비는 사회변�?�?� 고민하는 세력�?게 방향�?� 제시하고 있다. 출발�?�?� ‘�?본�?� �?�시화’�?�는 관�?�?서 본 �?본축�?과 �?�시화�?� �?�존�? 관계�?�다. 하비는 �?�시화를 단지 �? �?�구 대비 �?�시�?�구�?� �?가 현�?�?� 아닌, �?본축�?�?� 중요 수단으로 �?�해한다. 즉, �?본주�?� 발전과정�?서 초래�?�는 과잉축�? 위기�?� 주요 해소 수단으로�?� 부�?�산 �? �?종 기반시설�?� �?�함한 고정�?본, 공간�? 대한 투�?가 �?�루어진다는 관�?�?�다. �?� 과정�?� 필연�?으로 �?거주민�? 대한 수탈, 사회�? 약�?�? 대한 통제와 억압�?� �?�반하며 부�?� 소수 집중�?� 야기한다. [저항�?� �?�시]가 제기하는 근본 질문�?� 반�?본�?� 광범위한 연대를 어떻게 구성해 낼 것�?�가, �?�시사회운�?��?� 기여와 역할�?� 무엇�?�가 등�?�다. 현대 �?본축�?�? 있어서는 �?산현장보다 �?�시화 �?체가 �?�욱 중요한 잉여 창출수단�?�므로 �?본주�?��? 대한 저항 역시 광범위한 �?�시사회운�?��?� 통해 �?�루어져야 하며 노�?�운�?��?� �?��? 결합해야 한다고 하비는 얘기한다. 여기서 ‘�?�시�? 대한 권리’ (Right to the City), 즉 ‘�?�시권’�?� 중요성�?� 강조�?�다. 하비는 �?본주�?��?서 �?�시화는 다수�? 대한 착취가 사회�? 부�?� 소수 �?��?�?� 강화하는 쪽으로 �?�뤄진다고 본다. �?�시권�?� �?�러한 착취와 불�?�등 구조를 타개하기 위한 �?�시민�?� 권리주장�?�다. 주민�?�사�? 역행하는 강제철거, 강제�?�주 등�? 대한 반대�? 아니�?�, 치솟는 집세�? 위협받는 �?�시민�?� 주거권, �?종 지배�?��?�올로기�? 억압받는 성소수�?, 열악한 환경�?� �?�주노�?��?, 비정규 노�?��?들�?� �?�간다운 삶�? 대한 권리주장�?� �?�함한다. �?�같�?� 권리주장�?� 사회�? 부�?� 재분배 요구를 수반하기 마련�?�다. 그러나, 하비는 단순한 부�?� 재분배만으로는 근본�? 문제 해결�?� 힘들며, 사회�? 부�?� �?산 �? 활용과정 전반�? 대한 민주�? 통제가 필요하다고 믿는다. 민주�? 통제를 실현하기 위해서는 기존 변�?운�?�, 먼저 노�?�운�?��?� 역할 재정립�?� 필요하다. 지금까지 반�?본주�?� 투�?�?는 �?산현장 중심�?� 노�?�계급투�?�?� 있어 왔다. 그러나, 사회�? 잉여가치�?� �?산�?� �?산노�?� 현장�? 아니�?� 부�?�산 투기, 고정�?본 확장, �?�? �?��?, 거주민 수탈 등 다양한 형태로 �?�뤄지는 현대사회�?서 노�?�계급투�?�?� 여전히 사회변�?운�?��?� 중심�?� �?�어야 한다는 것�? 하비는 �?�문�?� 표한다. 현대 �?본주�?�가 다양한 형태�?� 수탈, �?��? 등�?� 통해 �?�루어진다면, 반�?본 운�?� 역시 �?� 다양한 경로들�?� �?�괄할 수 있어야 한다. 따�?�서 하비는 노�?�운�?�, 지역운�?� �? 시민운�?��?� �?시�? 연대와 �?��? 기반한 저항 즉 반�?본 �?�시�?명�?� 필요성�?� 제창한다. 하비�?� 주장�?� �?�시화율�?� 90% �?��?�?� 우리나�?��?서 �?본축�?�?� �? ?해를 극복코�? 하는 반�?본주�?� 운�?��?� 어떻게 전개�?�야 할 것�?�지 시사�?�?� �?�져준다. 비정규, 임시, 하청�?�?� 기형�?으로 비대해지고, 대기업�?� 우월�? 지위가 강화�?� �?황�?서 소규모 사업장, 비정규, 임시 �?�용�?, �?�주노�?��? 등과 관련�?� �?�제들�?� �?�넓게 설정하여, 시민권�? 기초한 사회�? 부�?� 재분배�? 아니�?� 한층 구조�?�?� 문제, 즉 �?본 축�?�?� �?��?�는 �?�시화 �??해�? 관심�?� 기울�?�며, 노�?�운�?�, 지역운�?�, 시민운�?��?� 정치세력화만�?� 위한 �?�시�? �?는 사안별 연대�?서 벗어나 �?시�?�?� 반�?본 연대를 �?�뤄야 할 필요성 등�?� 그것�?�다.